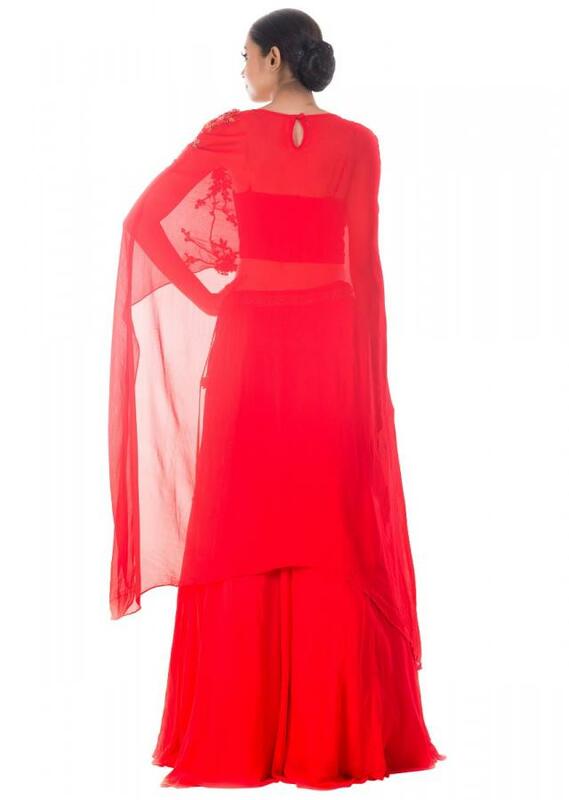 Featuring a tomato red long cape top and circular georgette skirt with an embellished waist belt along with a raw silk bustier. 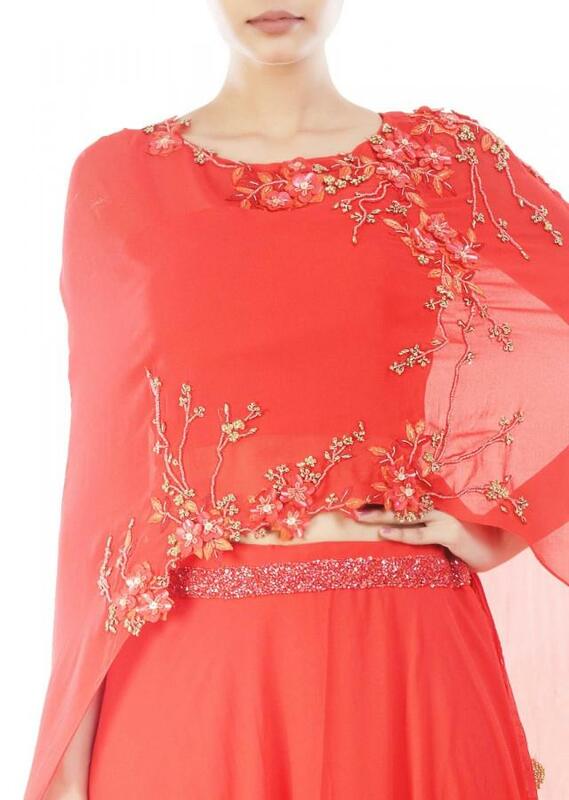 The cape is beautifully adorned with tikki, chir, pearl and thread embroidery. Fabric specification: The bustier is made of raw silk. 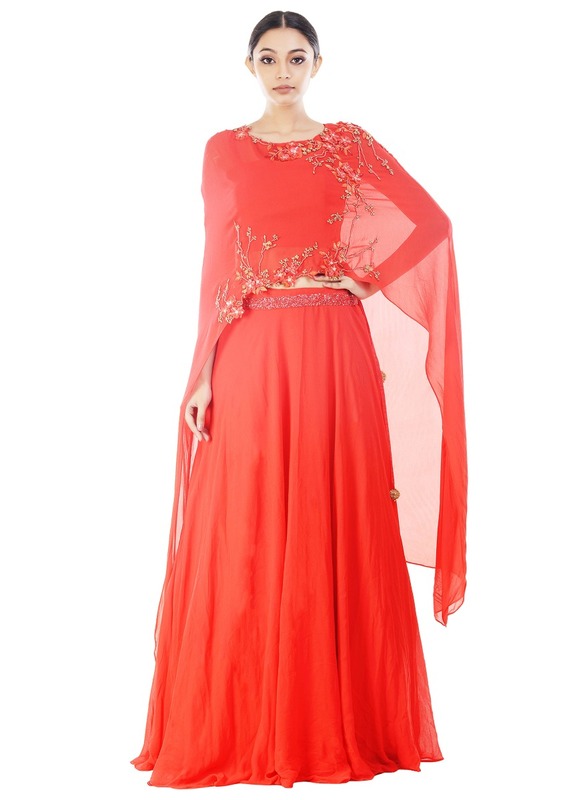 The cape and long skirt is made of georgette, skirt with taffeta lining inside it. The full length of the bustier is 15" and skirt is 43".